It's like stepping into another dimension! This *stunning* exhibit is currently at the ArtScience Museum at the Marina Bay Sands. It's part of an installation called Future World: Where Art Meets Science. While it's technically a permanent exhibit, the installations change over time. According to their website, the exhibit has four different themes: Nature, Town, Park, and Space. 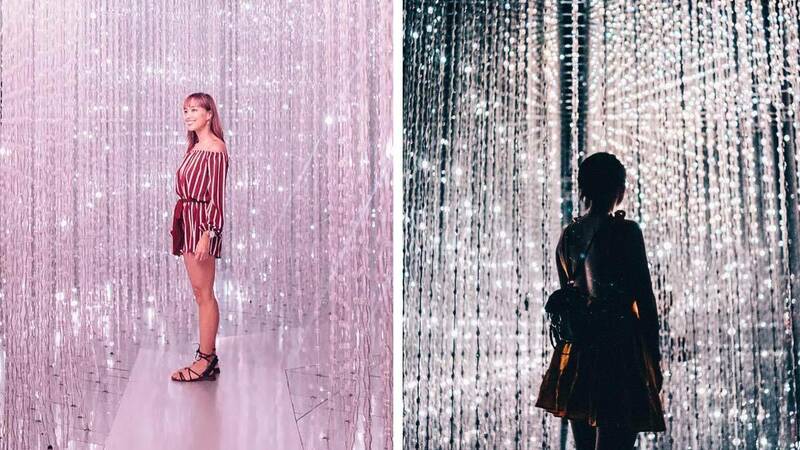 This artwork is called Crystal Universe; it's made up of more than 170,000 LED lights, "giving the illusion of stars moving in space." You'll have access to the entire exhibit for $17 SGD or P650.